And while there are many stock image sites all over the Web, we’re fortunate enough to have a generous community that shares these kind of resources openly. 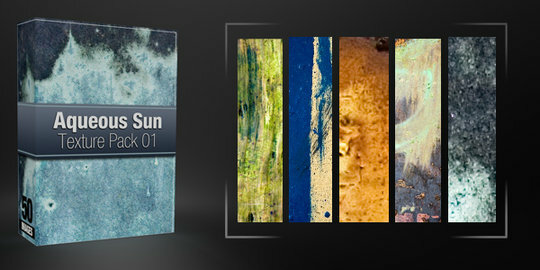 In this round-up we’ve collected 40 amazing new free texture packs to freshen up your designs. Make sure you read the terms and conditions and also say thanks to your fellow designers if you find their work valuable! Hey! Awesome collection of textures. Thanks for including the two sets from the Echo Enduring Blog! Hey Janos Racz! Thank you so much for listing Media Militia in this outstanding list of awesome textures. The extra traffic really helps us out. Big ups! Such a great work. Thanks for sharing with us nice texture packs.. Awesome texture packs, thank you for the share! Great collection! Thanks for including my Lava Rock textures! I’m getting a page not found for the media militia links, and the american flag texture apparently requires a paid subscription to download. Fantastic texture packs – I’m sure DubLi will be interested in them! Awesome collection! Just at the right moment! What about including informations about the copyrights with the downloads? The Hungry Saw is not actually FREE – the artists claims on her site that it is “only available to certain people”. Great! I don’t know to say how much i’ve appreciated! Awesome collection! Thank you, thank you! WOW, these are nice… thank you very much. The Hungry Saw texture has a password on it and apparently it’s not free. If anyone has the password to that texture, that would be helpful. Very useful collection! There are like 4-5 of them that i will instantly download :) Köszönöm. I found the textures that I was looking for. Thank you, this post will help me a lot on future projects. Thanks for the resources. These texture packs look great and would be very useful for some projects. Thanks a lot. Amazing ideas particularly Rare Wonderful High-Res Mat Textures! This is one of the most varied and comprehensive texture packs I have ever seen. Thank you. Check out a new one: http://www.texturemate.com Looks Promising! awesome, thank you thank you… jealous of the talent. appreciative of such art. I enjoyed reading this site, good job on the layout too! Thumbs up all the way! :) Thanks!